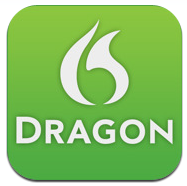 Earlier this year, I posted about my discovery of the Dragon Dictation app for the iPad. I dictated a post directly into Dragon dictation on my iPad and then cut and pasted into Pro PR.ca. Since that time, I’ve used Dragon on both my iPod Touch and iPad. If anything, I’ ve had even better results on my iPod Touch than on the iPad. But still, I do most of my writing on my PC and my notebook. So, when I saw that Nuance has released version 11 of their PC program, Dragon NaturallySpeaking, I thought I’ d give it a try. I last used a dictation program on my PC a decade ago. At that time, I found I needed to correct so many words that the dictation program just wasn’ t of any real benefit to me. However, the newest version of Dragon NaturallySpeaking absolutely blows me away. I’ ve been using it for the past two weeks. I don’ t think I’ m exaggerating to say that it is 99% accurate, maybe better. In fact, I’ m dictating this post using Dragon and it has made only two errors: it wrote ” NaturallySpeaking” as two words, ” naturally speaking” and it wrote ” may be” instead of “maybe.” In both cases, it spelled these words correctly in this paragraph when I was more careful about my pronunciation. Bottom line: Dragon NaturallySpeaking 11 achieves a degree of accuracy that makes it faster and more efficient to dictate first drafts of documents than to write them. If you haven’ t looked at dictation software for your computer for the past few years, take a look at the current generation. Voice dictation finally is ready for prime time.